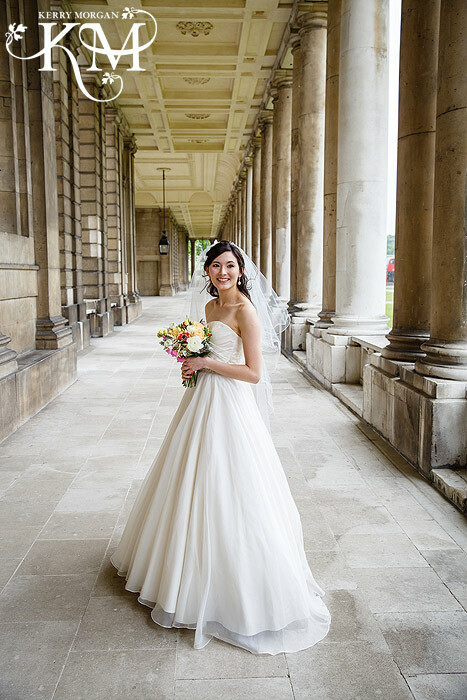 As a Greenwich wedding photographer I regularly shoot at The Old Royal Naval college chapel. 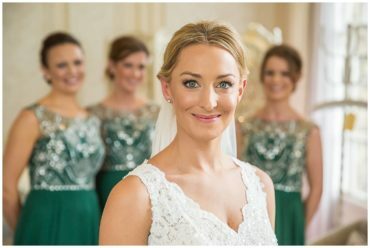 I shot my first wedding there in 2003!! It’s an incredible place to not only shoot but visit. Whenever I have out of town visitors keen to do some London sightseeing, I immediately point them in the direction of Greenwich and the Naval college. Opposite the chapel, is the amazing Painted Hall – which I think has to be one of the most underrated places in the UK, never mind London! 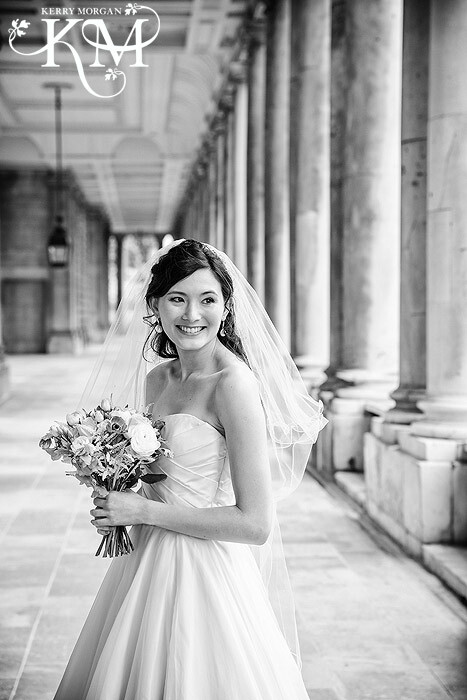 I had been really looking forward to shooting Kevin and Camilla’s Greenwich wedding. The Old Royal Naval College is so dear to my heart. My grandfather attended after he left his children’s home and joined the navy at 14 years old. 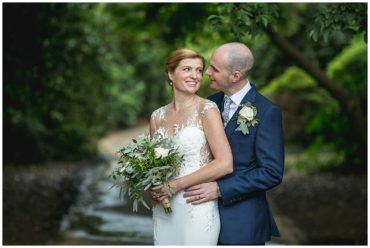 I have photographed here on so many occasions and it’s always such a pleasure. 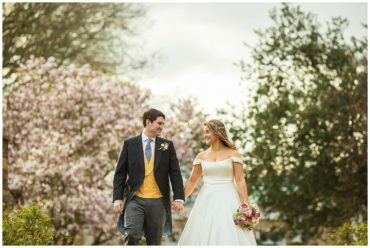 I have split their wedding photography into two posts, as there was a lot I wanted to share. I loved Camilla’s fresh, bright flowers and pretty details. Saw this little note Kevin had left for his bride. Kevin receives a blessing from Susan the vicar. The guests arrive for the ceremony. Camilla arrives at the old royal naval college chapel. Camilla walks down the aisle with her Dad.